Kai Fong Pai Dong is a self-organised neighbourhood market stall in Yau Ma Tei, which opened in November 2015 to build something with the neighbourhood from the bottom-up. Horizontally-run by 11 people, the green metal structure is located where Hamilton Street meets Canton Road, an intersection home to a fruit and vegetable market, hardware shops and several nursing homes. 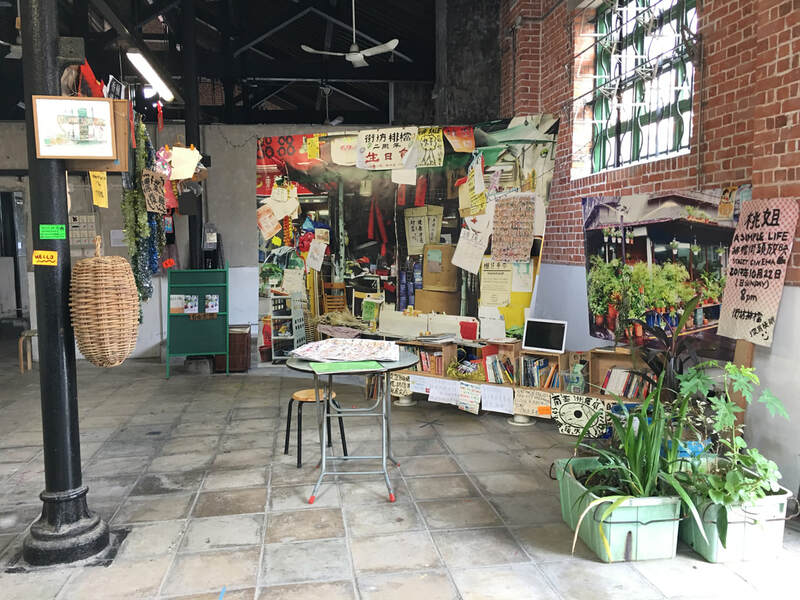 Since opening, the market stall has become a heterotopia, collaboratively run by artists, farmers, a hairdresser, a barista/social worker, a tarot card reader, teachers and community workers. 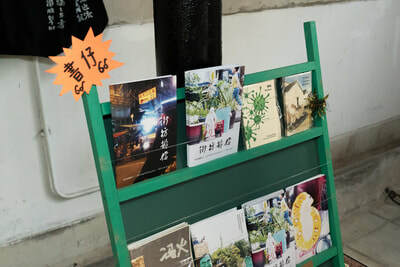 Visited by an eclectic demographic, the stall offers an expansive range of products and services, from locally grown organic bananas to neighbourhood portraits, from fruit tree seedlings to communal jam-making, and from irregular film screenings to monthly storytelling events. Supported by generous neighbours, the stall has unintentionally become a secondhand shop, distributing objects under an affordable “Pay-What-You-Think” system. These objects are visually-merchandised in a reconfigured space next to the market stall that now also functions as informal public seating. 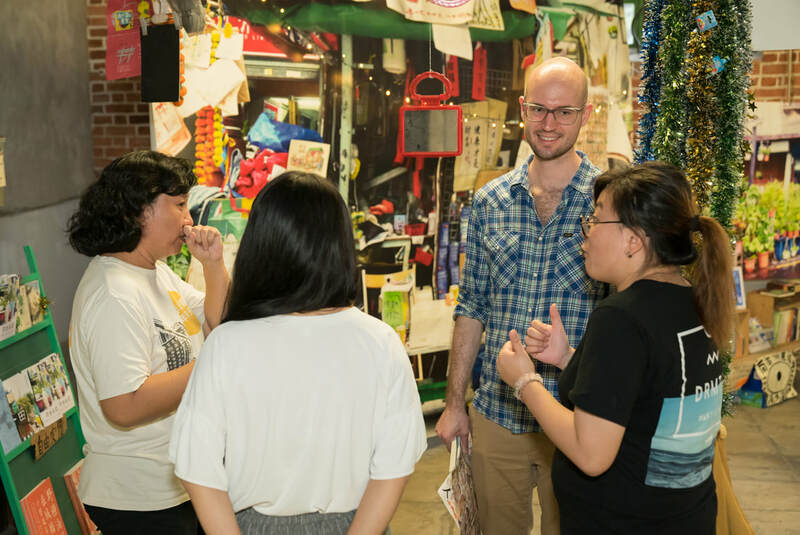 Kai Fong Pai Dong relies on mutual aid, empathy and community support, and aims to empower those that run it and the neighbourhood community. The plants, stools, tables, books, zines, Christmas lights, street cinema tickets, past event posters and neighbour portraits are all from Kai Fong Pai Dong in Yau Ma Tei. They show traces of what has happened at the market stall and memories shared with our neighbours. They also reflect the support and generosity from our neighbours. "Running Ghost Plants" are a group of precarious plants located at Kai Fong Pai Dong. They have experienced uphill struggles for survival. The photograph displays the contrasting situation between Yau Ma Tei street market and Taipei’s Wanhua neighbourhood. 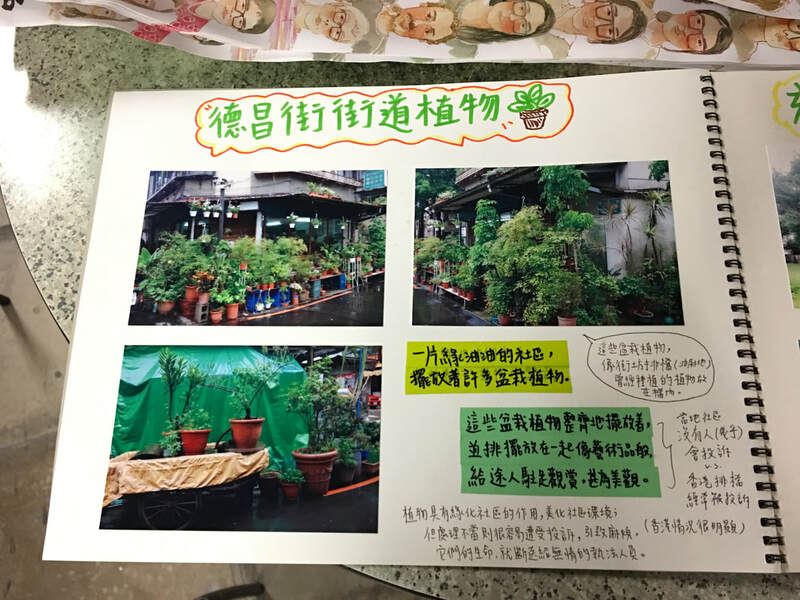 Two members of Kai Fong Pai Dong visited the Wanhua neighbourhood and found that potted plants were well preserved and arranged neatly outside of shops. Occupying such a space, the Taipei government does not intervene and prosecute the shop owners. In contrast, at Kai Fong Pai Dong, plants had to be moved following a public complaint and a government warning about the overall cleanliness of the street market. Later the plants were moved back to the market stall, but the government now regularly monitors the street market. It is difficult for Kai Fong Pai Dong to collaborate with the neighbourhood gardeners. These plants are grown by the neighbours and they beautify the neighbourhood. Even though many plants disappeared during the two moves, the remaining plants continue to prompt us to think about revitalisation, urban development and an ecological commons, through our conversations with the neighbours.